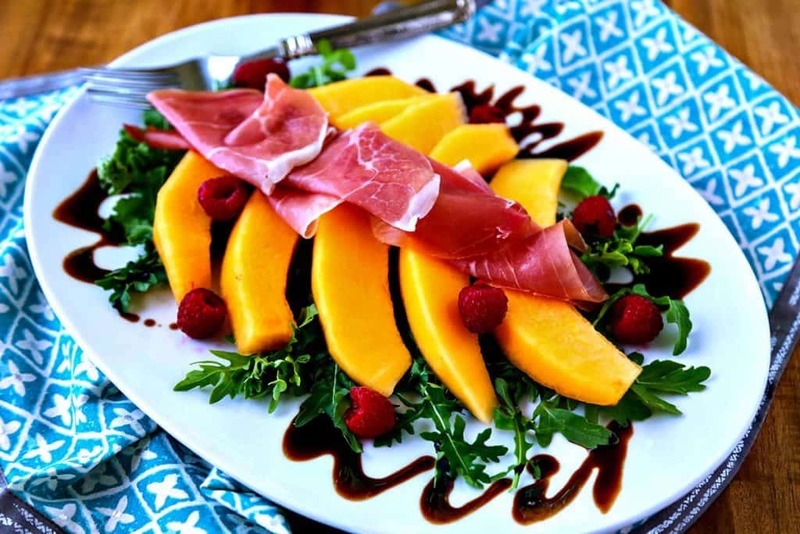 Cantaloupe Prosciutto Antipasti — create a beautiful Summer appetizer with an international flair—and with only five ingredients—in just minutes! 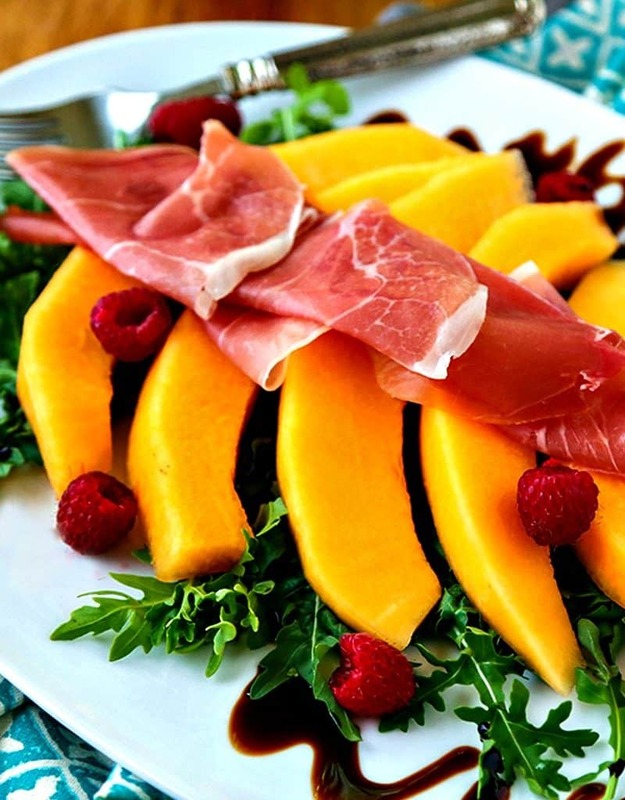 Today’s recipe for Cantaloupe Prosciutto Antipasti was inspired not only by my love of melon, but by a delicious meal John and I enjoyed over the weekend at Modesto, a quaint little Italian restaurant in Asheville. 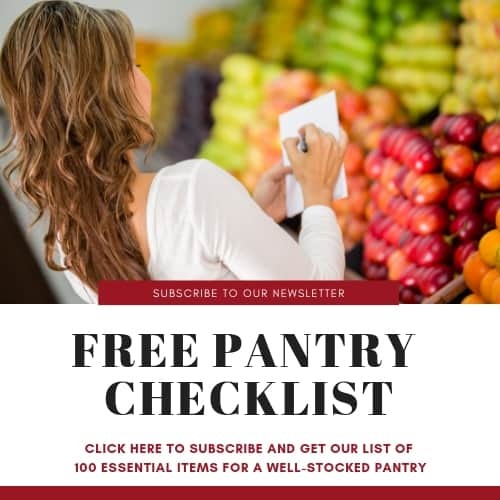 We’ve been working on our plans for a trip with friends in just a few weeks to the Mediterranean, so this meal really helped us get even more excited about what’s in store for us when we do have the opportunity to sample authentic Italian dishes! With just a few weeks left of Summer, I’m savoring as many local fresh fruits and vegetables as I can. My Dad always grew melons in our garden—watermelon, cantaloupe, and even Crenshaw melons—and there was nothing better than one of those juicy, cold melon slices. I think my favorite melon has always been cantaloupe, especially when they are in season and are perfectly ripe and sweet! 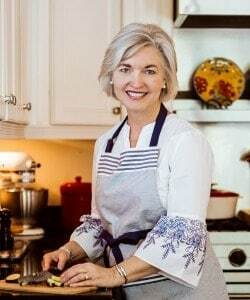 Often, my grandmother and I would split a fresh cantaloupe, scoop out the seeds and fill up each half with vanilla ice cream. Believe me or not, it’s a great flavor combination! Assemble this beautiful platter in just minutes! 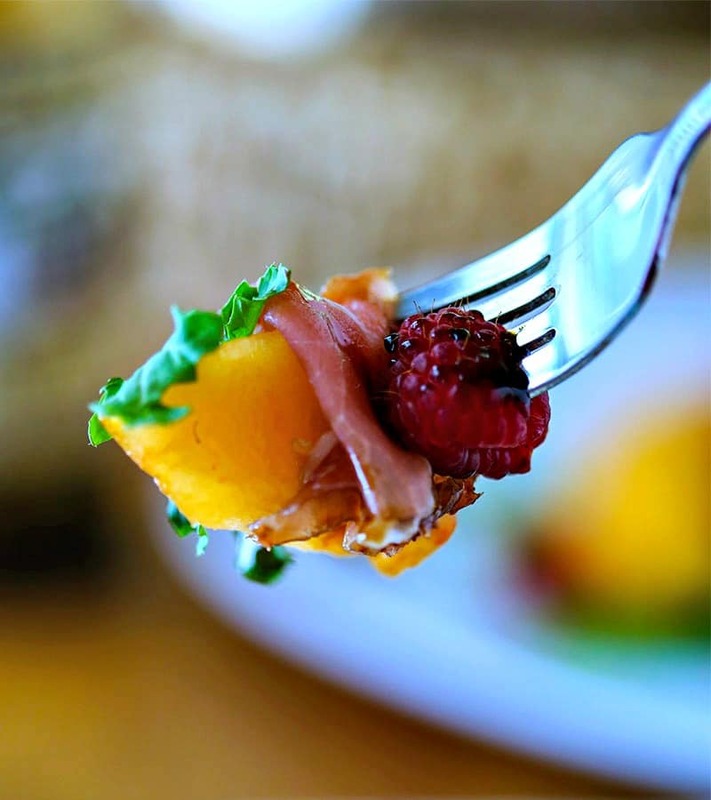 In addition to making a beautiful presentation, this antipasti marries the sweetness of the cantaloupe, the saltiness of the prosciutto, and the nutty flavor of arugula to compliment each other perfectly. Once the melon is sliced, building the dish is simple. 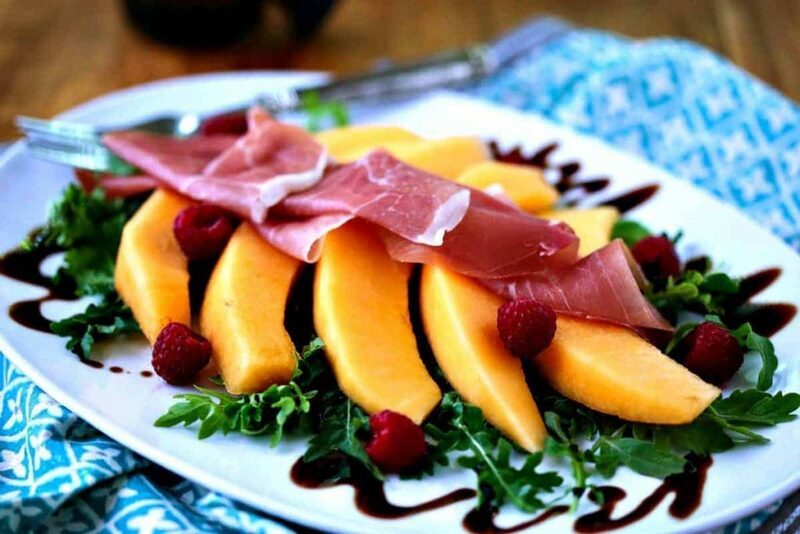 Lay a bed of baby arugula down the center of a serving platter and top with melon slices and prosciutto. Sprinkle with fresh raspberries and drizzle balsamic vinegar all around the edges. 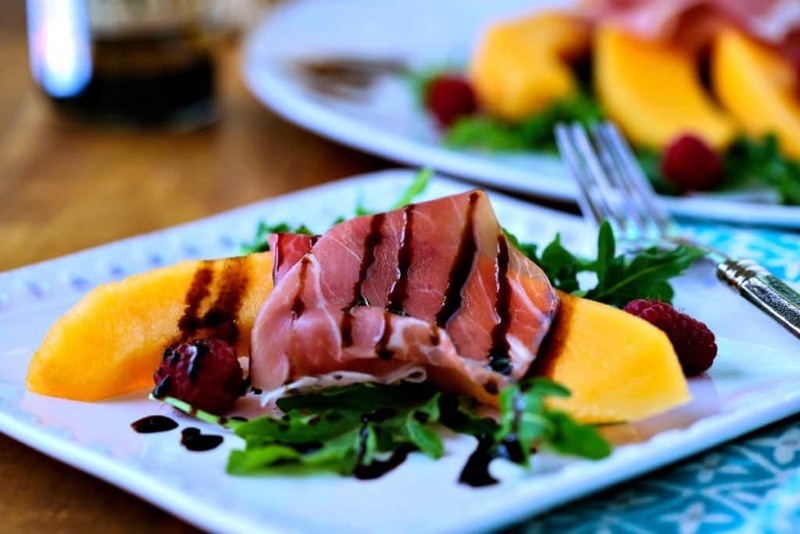 Or, if you prefer, wrap the cantaloupe slices with pieces of the prosciutto and place on a plate with arugula and drizzle with the balsamic vinegar. For this dish, a quality, aged balsamic vinegar is a must. Remember, a few drops of the good stuff goes a long way! Cut cantaloupe in half and scoop out the seeds. Peel and slice the melon into 8 wedges (or slice thinner to make 2 wedges per serving). Chill until ready to assemble the antipasti platter. Place arugula down the center of a serving platter. Top with cantaloupe slices. 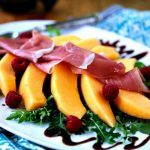 Layer prosciutto on top of cantaloupe, or instead cut prosciutto in half and wrap around cantaloupe slices. Sprinkle raspberries along the arugula and drizzle all with balsamic vinegar. Serve immediately.